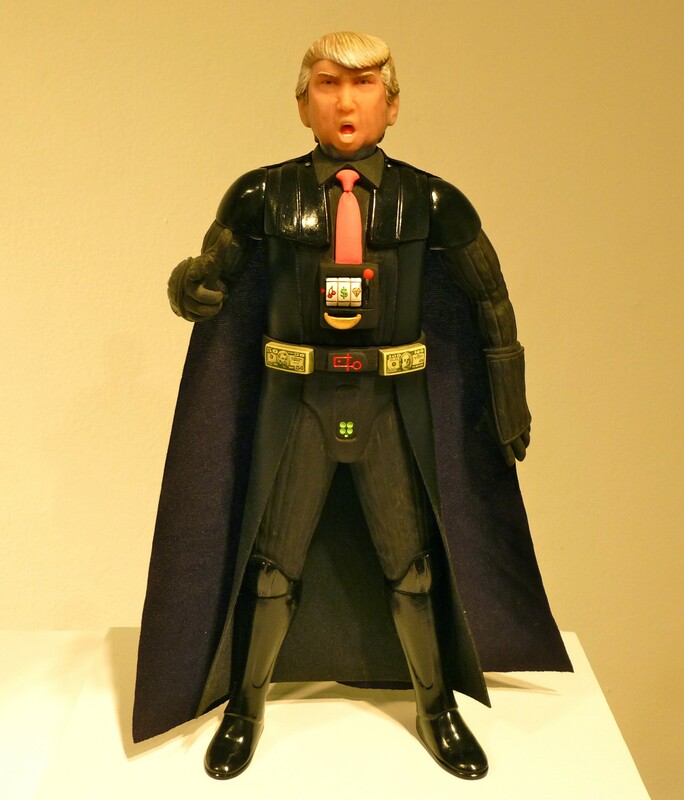 No, this isn’t a mash-up tie-in for The Force Awakens and racist douche Donald Trump’s mortifying horrorshow of a campaign to win the Republican Presidential nomination; it’s an actual artwork by Seattle-based artist Michael Leavitt, that appeared in his 2103 exhibit, Empire Peaks. For this exhibit, which was shown at the Jonathan LeVine Gallery in NYC, Leavitt created action figures of celebrities, politicians, humanitarians and other famous non-fictional personalities crossed with Star Wars characters, juxtaposing the classic archetypal roles found in Yoda, Luke Skywalker, and Darth Vader, etc. With Trump, I think he really nailed it. ← For The Person Who Has Everything: Hot Dog Shaped Condiment Bowl!